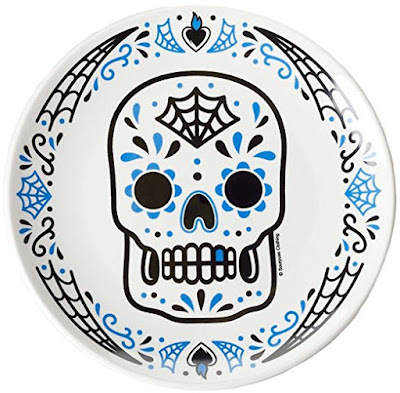 Every year near Halloween, as soon as the stores begin stocking sugar skull items, I find it nearly impossible to resist a new purchase. 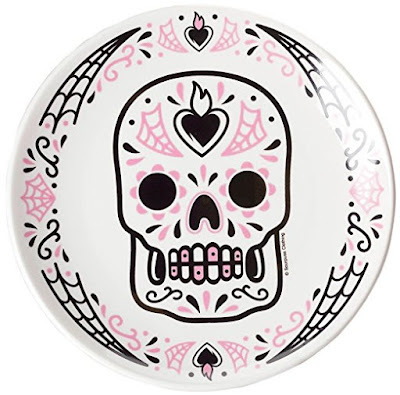 These plates from Sourpuss are my latest obsession. 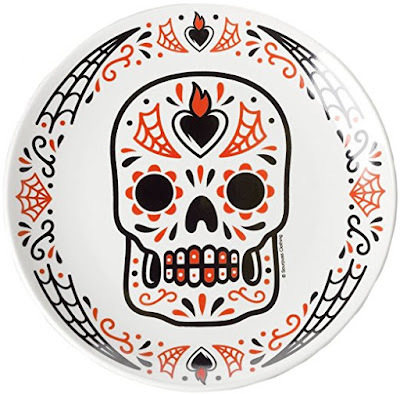 You can mix and match these plates or go with all one color to match your existing serveware. 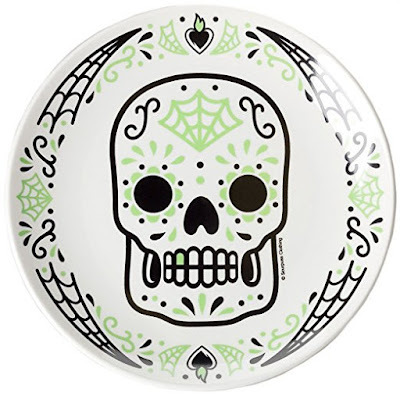 Having one plate in each color will incorporate all of my existing sugar skull dishes perfectly!